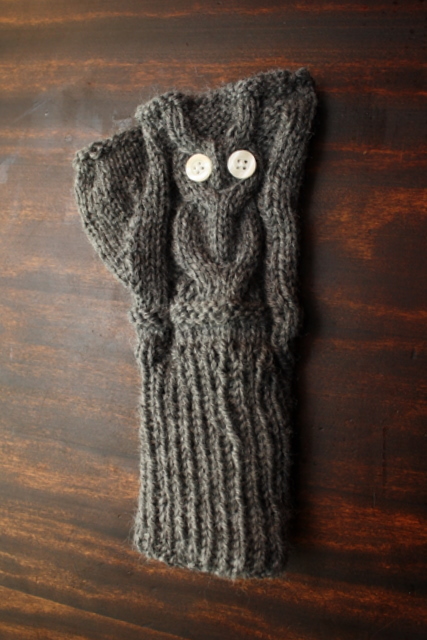 I’ve been working on these cute owl mitts for one of my coworkers for WEEKS now. She has a right AND left hand. 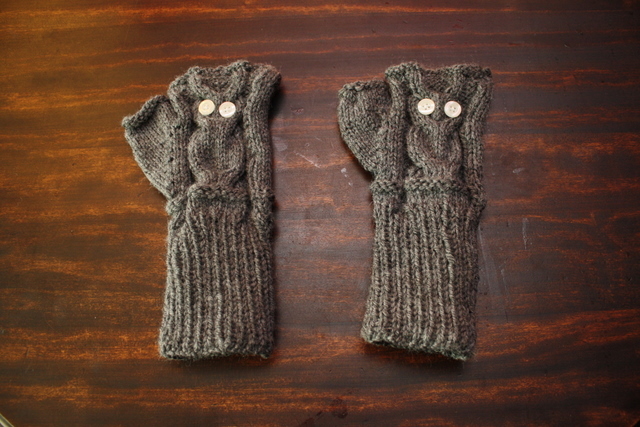 Well you just need to make two lefts and you’ll have a set to spare and you’ll be an expert on fingerless mittens! Or maybe I could actually pay attention to what I’m doing. The stinking pattern even warns you *not* to do this. Nick– who says a set is four? I think of two as a set! As in.. a matching hat and scarf set. Actually, I found dictionary.com quite helpful in it’s generic definition of set as a noun. Bahahaha!!! “It won’t hold water… or a left hand.” The cackometer is off the charts right now. Thank you Andrea!!!!! :) Your a good friend to Katie, just because of this post!